It’s rare that a rookie can cause so much controversy before ever stepping onto the field. When the Bengals picked Joe Mixon in the second round, it shook up the entire draft and sparked instant reaction league-wide. But, it also shook up the team’s depth chart. An undeniable first-round talent, Mixon slipped into the second day of the draft because of a 2014 incident where he punched a female student in the face. He recently settled the civil lawsuit, but Mixon has still experienced backlash after video of the altercation surfaced. While this issue will loom over his entire career, it shouldn’t impact his standing with his new team. The Bengals have a reputation for taking chances on players who have lingering off-the-field problems. It is only logical to assume that if the Bengals are willing to open themselves up to this kind of criticism and scrutiny, then they must truly believe in Mixon’s ability. 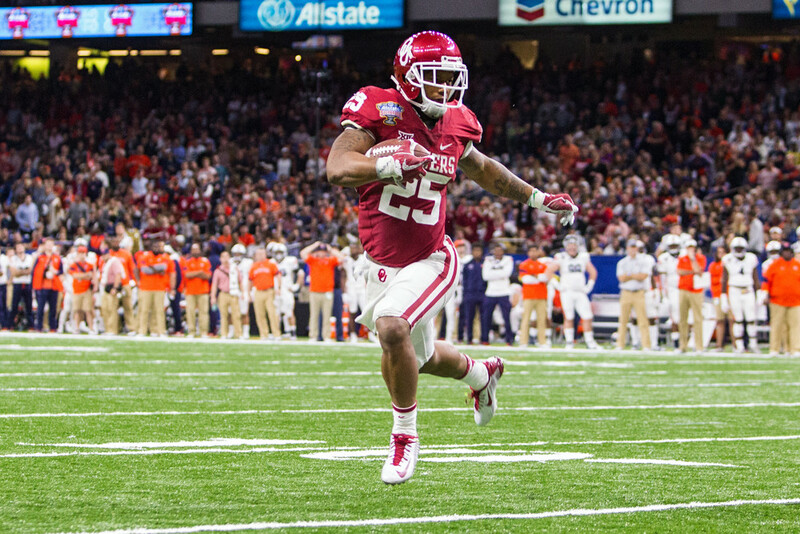 Mixon enters into an unsettled backfield where he will have an opportunity to prove himself early. Expect serious competition between Mixon and veteran Jeremy Hill for the starting job. Hill, who was also a second round pick, has failed to reach more than 3.8 yards per carry since averaging 5.1 during his rookie season. The Bengals lost three key linemen heading into last season, which likely contributed to his struggles. Despite his declining production, Hill has still maintained fantasy value. Dominating the ball as the team’s lead back, Hill ran the ball at least 20 times in five games. He finished as the 18th fantasy running back in standard scoring leagues. Entering a contract year, Hill is embracing the challenge to win back the starting duties. Yet, Mixon is a very real threat to his workload immediately. Mixon could also cut into Giovani Bernard’s role. Although Hill is much more in danger, Bernard still faces an uphill battle for playing time. Bernard is currently recovering from a torn ACL injury that he suffered during Week 11 last year. Mixon’s skill as a pass catcher and explosiveness likely means Bernard will see a limited role even if healthy. Even if the offense overall took a step back last season, the starting running back for this team is still a valuable fantasy commodity. The Bengals have finished in the top half of the league in total rushing yards for three consecutive seasons. This is a situation worth monitoring closely. While the presence of all three of these running backs will likely limit each one’s upside, the starter is still relied upon heavily in this scheme. This blend of volume and talent make both Mixon and Hill high-floor fantasy options.